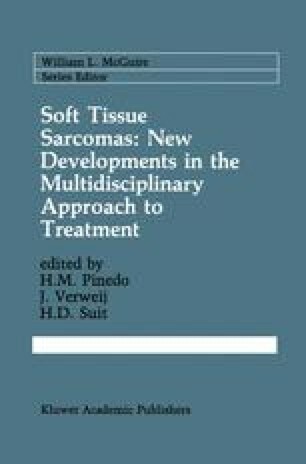 Remarkable progress has occurred regarding surgical techniques and the use of radiation therapy or chemotherapy for the treatment of extremity sarcomas [1, 2, 3]. Most patients with extremity sarcomas now have a treatment option of limb-salvage procedures in addition to amputation. Indeed, tumor resection combined with chemotherapy or irradiation have become the treatment of choice for most extremity soft tissue sarcomas . However, patients undergoing limb-salvage surgery require longer periods of anesthesia, several operations, longer hospitalizations, and, consequently, a greater incidence of complications . Yet limb-salvage surgery is increasingly being advocated by surgeons , and patients are choosing limb-salvage procedures, perhaps due to a presumption that limb salvage offers preferred outcomes regarding functioning and psychological reactions . Implicit in the endorsement of limb-salvage surgery are presumed psychological advantages of limb-salvage surgery, coupled with an assumption that there are adverse psychological consequences to limb amputation.